Which Lean Six Sigma exam should I sit? A lot of bodies, organisations, and associations offer Lean Six Sigma exam. For some, you get the certification by registering and completing an online course while for others you sit either a paper-based or an online exam. The ubiquitousness of certification bodies is as a result of a non-centralised certification body. In other words, no one owns the Lean Six Sigma certification. The most popular certification bodies are International Association for Six Sigma Certification (IASSC), Lean Six Sigma Academy (LSSA) and American Society for Quality (ASQ). Most people have a preference for certifications from a particular country or region. This is also true for Lean Six Sigma. If you are looking for a certification that is widely recognised in Europe, then, you can opt for LSSA’s certification. On the other hand, IASSC and ASQ’s certifications are from the United States. As a result, if you want a US-affiliated certification, you can opt for either IASSC or ASQ’s exam. Before you opt for an exam, it is important for you to know how the course is structured. This will help you to know what is expected of you in terms of the knowledge you need to acquire and also how you apply what you have learned. IASSC and ASQ’s courses are arranged as a body of knowledge. According to Wikipedia, a body of knowledge is the complete set of concepts, terms, and activities that make up a profession. These concepts, terms, and activities are defined by subject matter experts in the profession. Both IASSC and ASQ provide standards for improving processes and managing quality. These standards tell you what you need in order to achieve a particular process improvement objective. In other words, IASSC and ASQ’s Lean Six Sigma course only tell you the necessary things you need to have and do. Both do not tell you how to implement what you have learned. 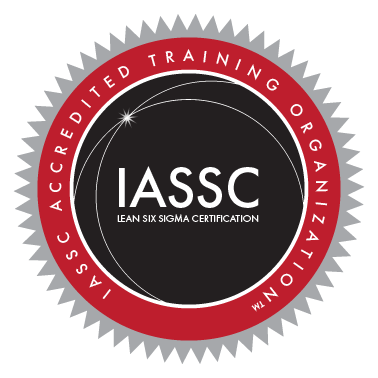 Unlike IASSC and ASQ’s Lean Six Sigma course, LSSA’s course tells you what you need to know and how to go about it in terms of acceptable standards, tools, and techniques. In addition, the course is arranged in a way that is easy to implement. In summary, IASSC and ASQ’s Lean Six Sigma course do not put Lean Six Sigma into practical perspective. In contrast, LSSA’s course helps you to apply what you have learned to any given process improvement project. Before you opt for an exam, it is important for you to know the exam requirements. This will help you to know the type of exam to opt for. Bearing this in mind, let’s look at the requirements for each certification body. IASSC and LSSA’s exams do not require any pre-requisite before you apply for their theory exams. In other words, anyone can apply for IASSC’s (yellow, green and black belts) and LSSA’s (yellow, orange, green and black belts) exam. Also note that you can take any of the belts in any order, depending on what you are trying to achieve. One completed project with signed affidavit and three years work experience in one or more areas of the Six Sigma Black Belt Body of Knowledge. In summary, anyone can take IASSC and LSSA’s exams, as both do not require any pre-requisite. ASQ’s green and black belt exams require you to meet certain requirements before you sit the exam. When applying for any professional exam, it is good to know the validity of the certification. This will help you prepare your mind in advance should you want to recertify. LSSA’s Lean Six Sigma certifications (yellow, orange, green and black belts) do not expire. However, IASSC’s certifications (yellow, green and black belts) expire after three years of passing the exam. You will be required to retake the exam within three years of your initial certification. Unlike IASSC’s certifications, ASQ’s Six Sigma yellow and green belts are lifetime certifications. In other words, they do not expire. However, black belt holders are required to recertify every three years by either obtaining 18 Recertification Units or retaking the black belt exam. Having looked at different factors to consider before sitting an exam, it is now left for you to choose the most appropriate Lean Six Sigma exam to sit using these factors as a guide. Want to know more about Lean Six Sigma? Interested in attending Lean Six Sigma training or sitting exam? How is PRINCE2 Agile® different from Agile PM? Is Scrum the same as Agile?